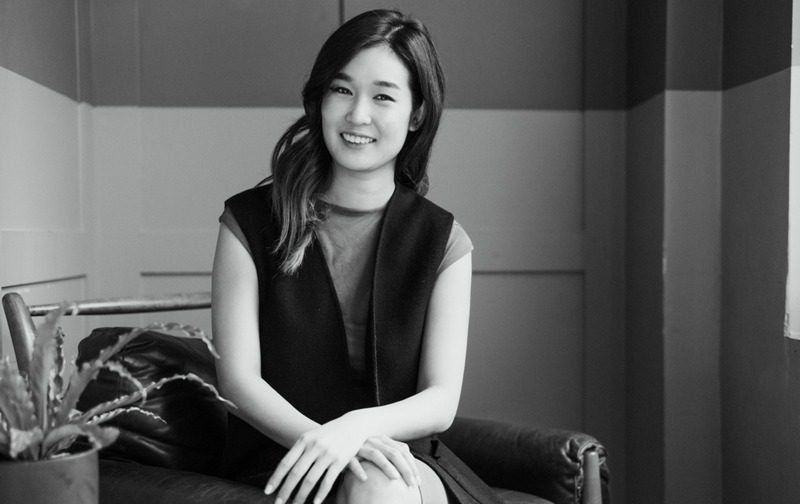 Charlotte Cho is at the forefront of one of the fastest growing trends in skincare: K-beauty. For the past four years, she has been seeking out the finest skincare products in Korea and introducing them to the American market. Each year when she travelled home for the holidays, Charlotte’s friends would beg her to bring Korean products for them. She realized that no one back home really knew about these products, which she loved. And the few who did know about them had to purchase them at a high price point. That was when she had the idea for Soko Glam. Charlotte began having conversations with her then-boyfriend, now-husband and co-founder, Dave, about opening a store in the US that would carry Charlotte’s favorite Korean products. They knew that since Dave was about to begin business school in New York, their time in Korea was coming to an end, and they wanted to find a way to stay connected to the country they’d both come to love. So they designed a website, which Charlotte admits was “pretty janky,” posted a few of Charlotte’s favorite products, and began to build the industry-disrupting company that Soko Glam has become today. In 2013, DailyCandy wrote a short piece about Soko Glam. Soon after it went live, they sold out of all of the products they had in stock. “Granted we only had about fifty of everything, but it showed us that people were willing to give our store a shot.” She and Dave began to believe that Soko Glam could morph from a passion project into a full-fledged business. Nowadays, features in Teen Vogue, Vanity Fair, and The New York Times are common occurrences, and last year Charlotte wrote her first book, The Little Book of Skincare: Korean Beauty Secrets for Healthy, Glowing Skin. It has already been translated into more than four languages and become a bestseller in Poland. In the book, she touts the benefits of “double cleansing” (i.e. washing your face with both an oil-based cleanser and a water-based one), describes the K-spa experience, and shares the latest Korean innovations like fermented skincare. What were some of the hardest things you encountered as you brought your idea to fruition? How did you overcome them? Being born and raised in California, I didn’t speak Korean well. Negotiating and developing relationships with Korean companies with limited language skills was a challenge, but I was able to practice and not obsess over being perfect. I recently had a full conversation with a CEO of a major Korean beauty company, and the meeting went very well! Also, when Soko Glam was just starting out, many people would ask specific skin-related questions that I didn’t know the answers to. At that point, I hadn’t formally studied skincare, so I decided to change that. I enrolled in a night course and got my esthetician license. How is your company different now than when you began? Soko Glam first started as a curated Korean beauty site, but over the years I’ve focused more and more on skincare content. Our customers were not only interested in the products, but they were also fascinated by the techniques and wanted guidance on why each product was so special. That’s why I have dedicated myself to sharing all I know about Korean beauty through a content site called The Klog, which we relaunched in June 2016. It’s been up less than a year, but it’s growing quickly, and we’ve been getting so much great feedback. Also, our business has expanded so that we also help curate and distribute Korean beauty products to major retailers such as Sephora, Urban Outfitters, and Birchbox. 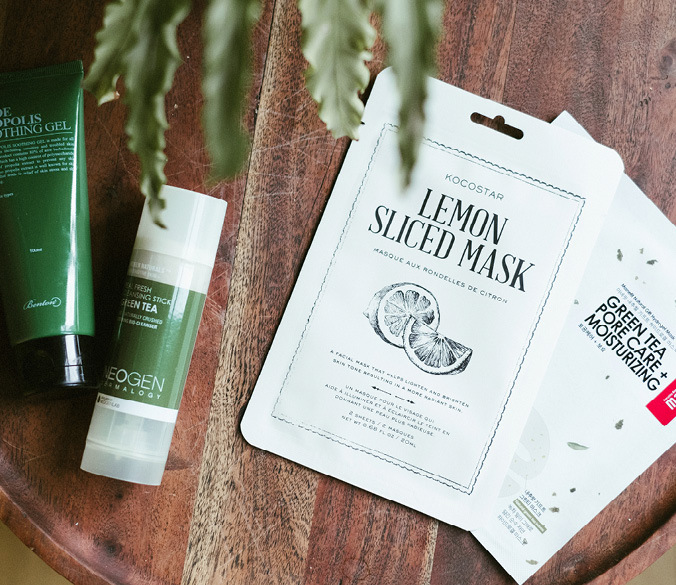 Last year, I collaborated on the creation of two skincare products: the Manefit Green Tea Pore Care Sheet Mask and the Neogen Real Fresh Green Tea Cleansing Stick. And this year we’ve been working on so many exciting projects—I can’t wait to reveal them all! What is one thing about you that most people don't know? I’m actually very shy in front of the camera, and I don’t like taking photos of myself. But being in the beauty industry, I have to force myself out of my comfort zone. Has building your company changed you in any way? How? We bootstrapped Soko Glam for three years before we raised our seed round. That meant we had to be as resourceful as possible, and we couldn’t take shortcuts by throwing money at the problem. Although now we’ve raised a round and can be more flexible with our budget, the bootstrapping mentality has stuck with me. Many startups that raise capital fall into the trap of spending money like water just because it’s there, but I think it’s important to be as resourceful as possible, and I hope I never lose that approach. You don’t have to be the best at everything, and no one is expecting you to know it all. You will learn as you go. Don’t be afraid to ask for that cup of coffee to bounce ideas around or connect with someone who is an expert in your field.